Looks like this series is shaping up to be A-Pocket-A-Day sort of thing. Hurrah for short posts that can be lined up for autoposting each day - it's the only way to get 20-something posts all out before the new year! 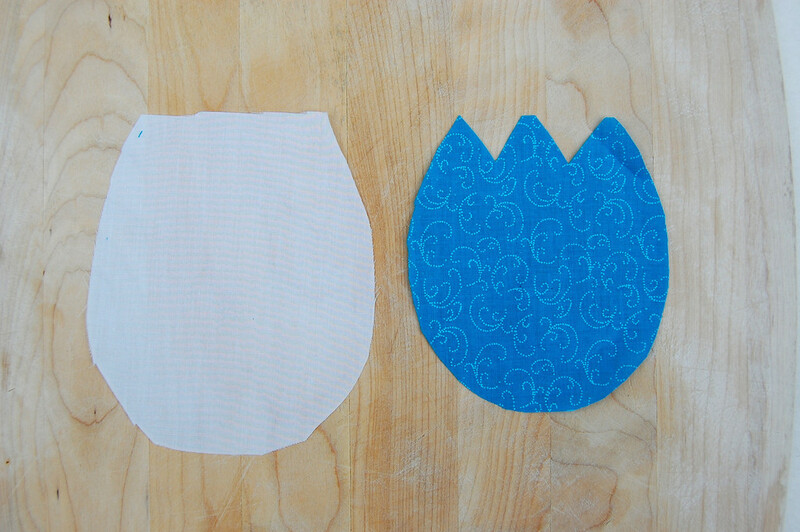 Fully lining a pocket is especially useful for odd-shaped patch pockets - it tucks the raw edges away forever. I hardly ever use this method for regular shapes like rectangles, because it's just extra time for something unnecessary. 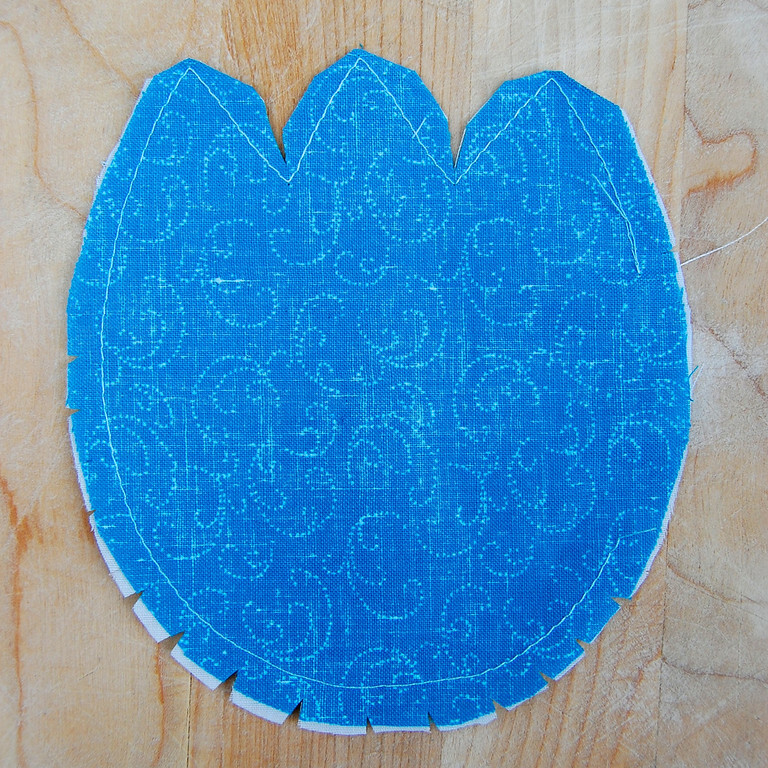 But suppose you were, I dunno, feeling whimsical, and wanted to sew, say, a tulip-shaped patch pocket. 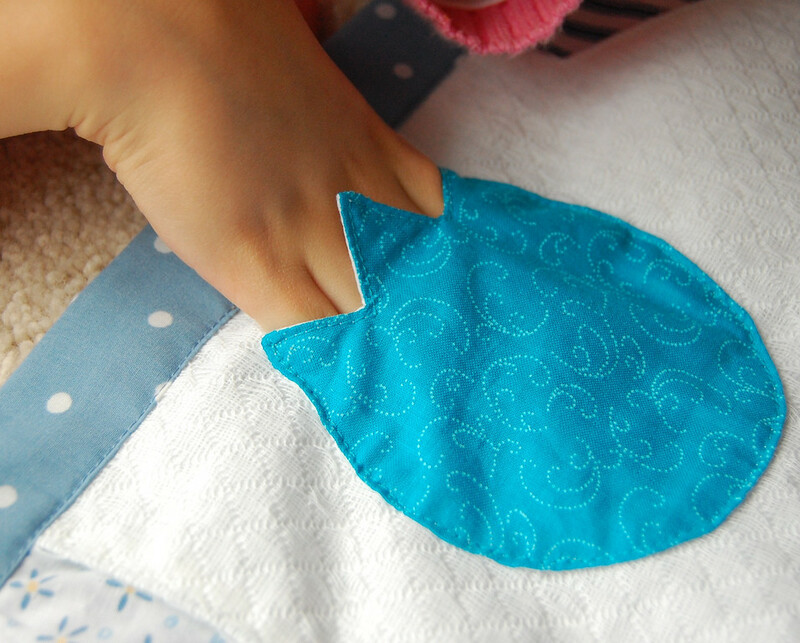 It's a hard shape to fold and press the way we did with our curved pockets. And you put the outer pocket piece and the lining together, right sides together. You left the lining piece bigger because you were clever and knew it was easier to trim it to size later. 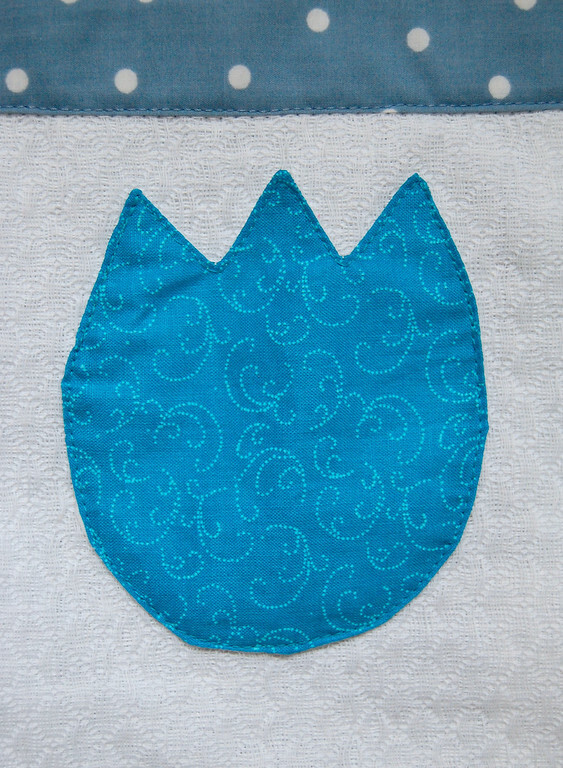 Then you sewed all around the outer pocket, leaving an opening to turn right side out. You would*, of course, leave the opening where the seam is (relatively) straightest, so not on the curved bottom or the zigzaggy pointy top edge. *Because you were clever, which we established earlier. and turned it right side out. And pressed it a bit more. And then tucked in the seam allowance of that opening, and pinned the whole thing in place, and top-stitched around the sides and bottom, including that opening. And you remembered (clever etc. etc.) to leave the top open for inserting hands. That would make you clever AND invincible because now you could sew patch pockets in any shape. 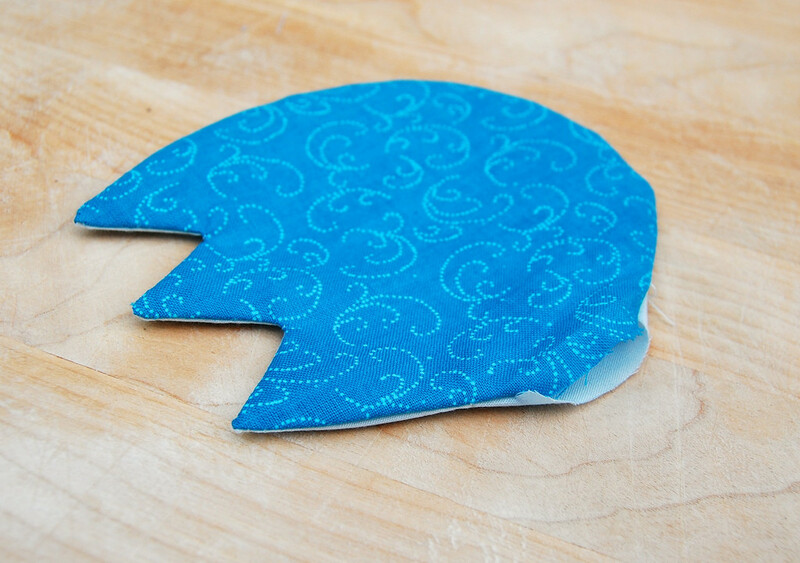 This is my favorite so far - what a fun way to add pockets to ANY outfit! Very cute! Though I am probably a bit old for tulip patch pockets. 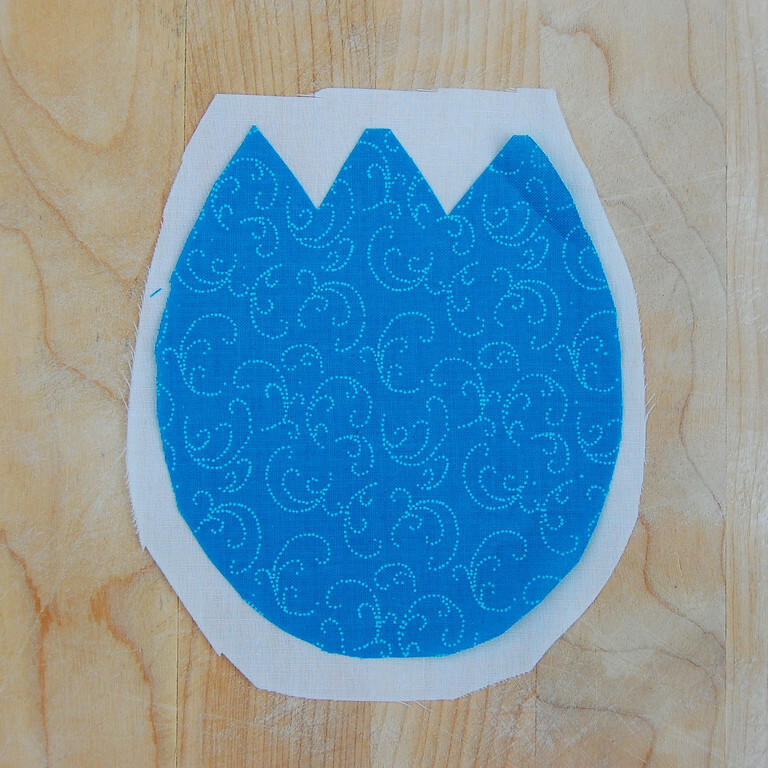 Thanks:) I have been looking for a way to decorate the clothes of my elder daughter with tulips. 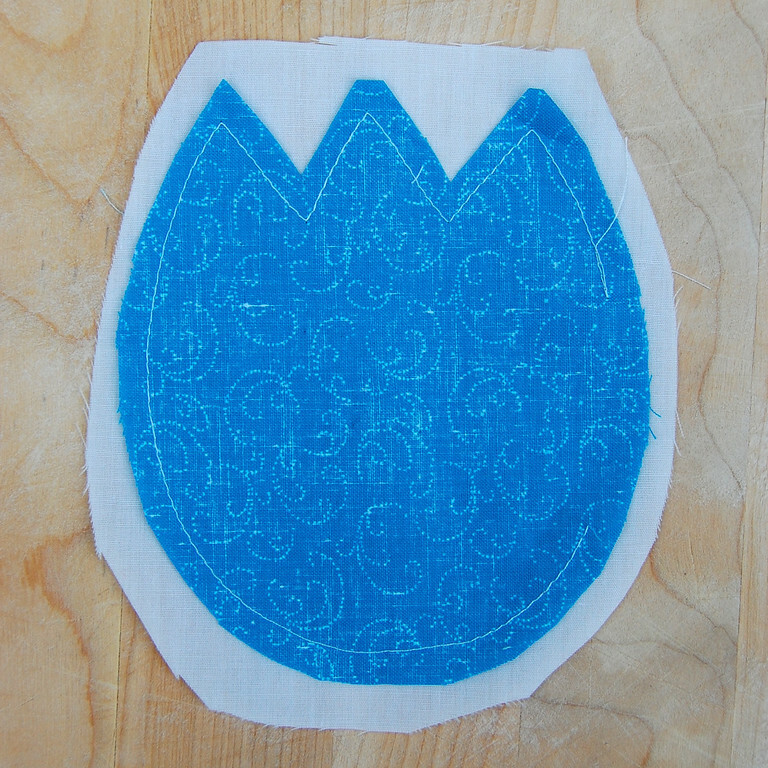 Once I tried a tulip-shaped embroidery, but I am not good at doing embroidery :( This tutorial gave me exactly what I needed. I like to be clever and invincible! i'll practice every kinda pockets on this blog. thankyou so much!